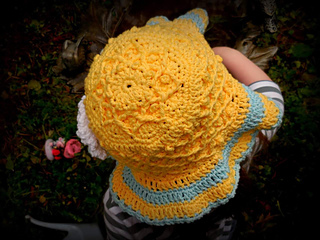 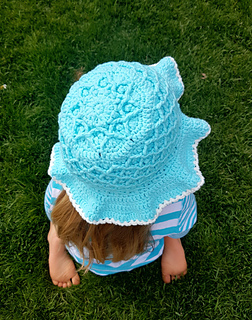 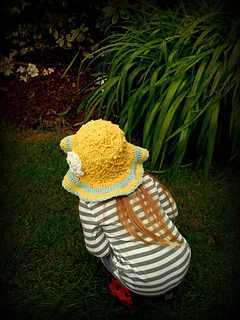 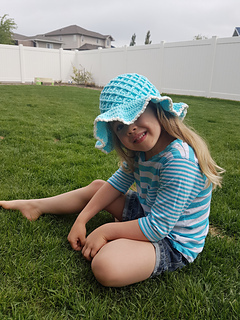 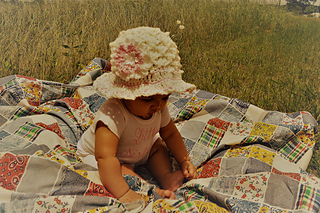 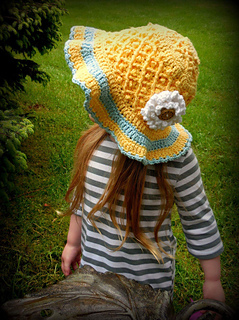 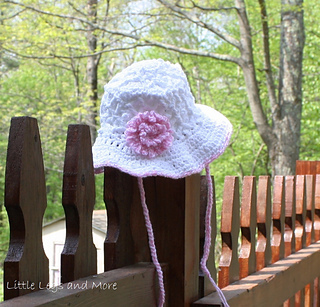 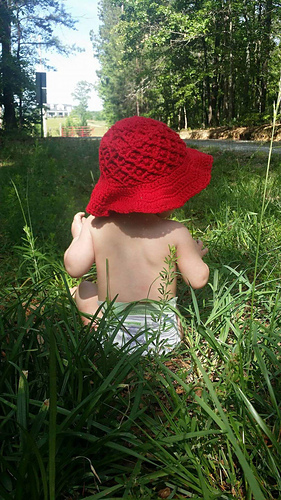 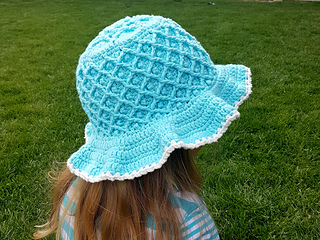 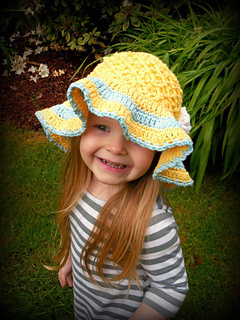 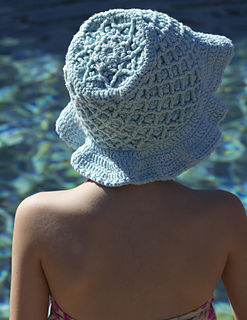 Olivia’s Sunhat is a fun and flirty sunhat that is packed full of texture. 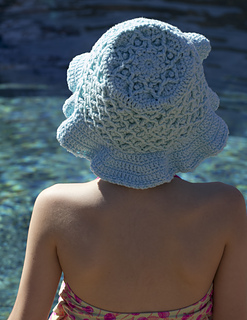 It features a cabled flower on the crown and a lattice of diamonds along the main body of the hat. 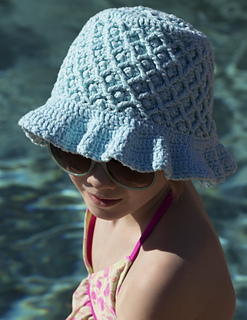 This hat will protect you from the sun and have you looking good while enjoying the warm weather! 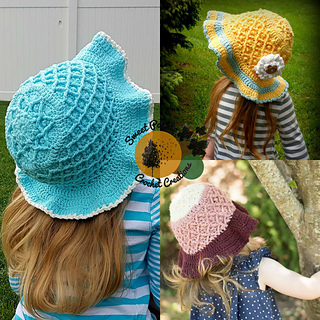 -optional chin ties for all sizes, but these are especially good for the younger children to help keep the hat on their head! 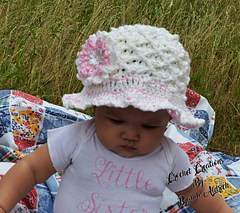 Here are what some of my testers had to say!